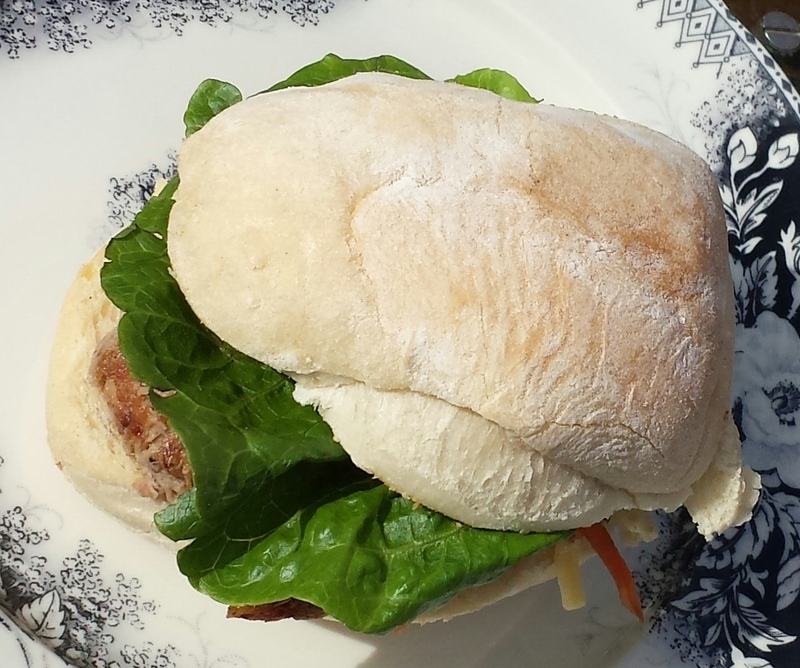 Due for a girls catch-up I head to Pope Joan in East Brunswick to meet with two friends. We had talked about it for so long and now we are here! The place was buzzing and food was good. I had read some complaints (reviews, blogs) about serving-sizes; agreed the meals weren’t trucker-size but I guess it depends on what you are after: quality or quantity? There is also added pressure for cafes when prices are premium ($25.00 for breakfast and coffee), and I understand that those that just want a big cheap breakfast, may not be excited about a moderate serving size of local-artisan produce. Pine and field mushrooms, goat cheese with a poached egg. The sauce on the mushrooms was sensational (wine reduction and butter?). Only thing I’d change is the bread, which was a long crouton (very crisp) and nearing the end of this dish, I really needed some bread–not a rusk as such–to mop up the delish remains. 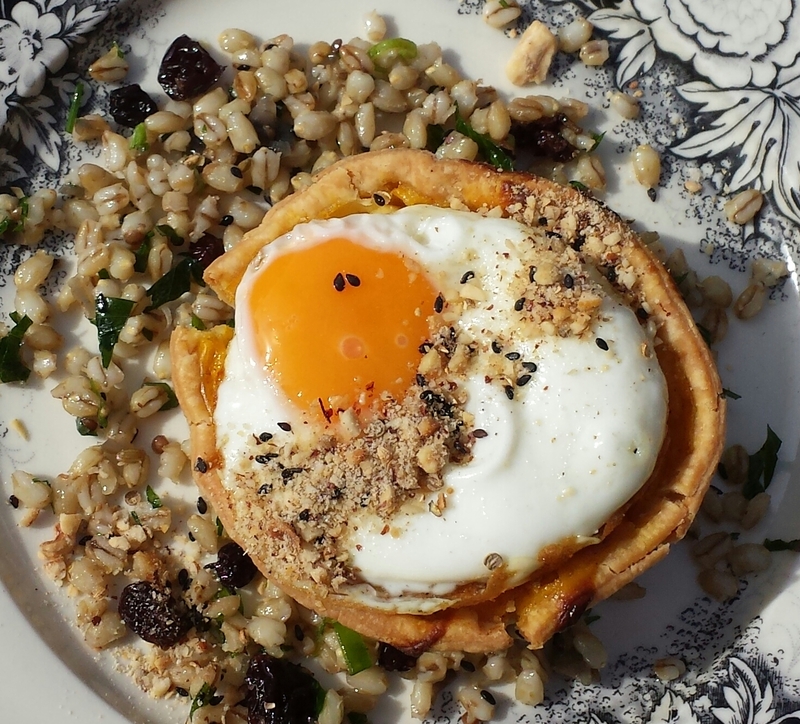 Pumpkin and haloumi tart with tabouleh, dukkha and fried egg. The pumpkin pie was reported to be rather ‘noice’; wonderful flavours. My friend described this as ‘just a pork roll’ but the menu hadn’t said it was anything else! It came with gherkin and cheese on good sourdough. The prices here put extra pressure on things to be fabulous. If you want a bargain $10.00 fry-up Pope Joan is not for you, but if you’re after some amazing flavours made from quality ingredients, you’ll enjoy Joan. The floor-staff did a great job, it was flat-out and they kept their cool. Whoever is running the kitchen deserves kudos for passion and creativity and for the focus on seasonal and local produce. Love the kids menu ideas with the right prices for junior meals. Great review. I’ve been meaning to try Pope Joan, good to hear what a foodie friend thinks! Yes, give it a try … the breakfast is fab! gee, very impressed with your fellow diners. smart and attractive!